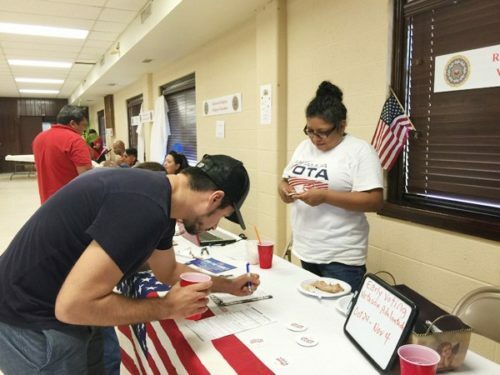 [Episcopal News Service] Registering voters Aug. 14 at La Iglesia Episcopal San Pablo in Houston was just the start of an Episcopal Diocese of Texas and Mi Familia Vota partnership to help get out the vote. Increased public awareness and interest, possibly due to a contentious election season, sparked the initiative, according to Paulette E. Martin, diocesan communications specialist. “People want to be involved. The whole political arena right now is very important to them,” she told Episcopal News Service recently.